We are a small club devoted to our students. 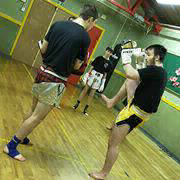 We operate 2 mixed group classes on Monday and Wednesday 7.30 to 8.30. Outside of these classes we offer one to one tuition and small private groups as required in 30 minute or 1 hour blocks. We offer self defence sessions seperate to the main classes, although sometimes we can't help but add it to the class for something a little different. 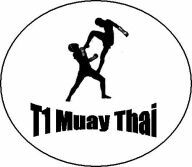 Our instructors offer a variety of skills from core fitness and basic technique to self defence including weapons and of course our fighters. Classes cost £5 per session with discounts available for groups and regular training. Private sessions are priced individually.